A recent poll conducted by YouGov revealed that a sizeable portion of the American public is open to the idea of a military coup in the United States. 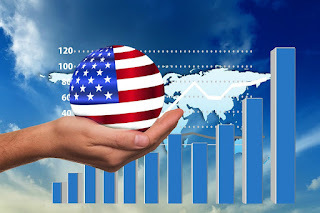 The poll was conducted amid the continual polling that takes place during the U.S. Presidential election yet it did not focus on the elections per se, but the potential lack of elections in the future. The YouGov poll surveyed 1,000 people online and determined that 29% of Americans, over a quarter of the population, could imagine supporting a military coup against the civilian government. Only 41% could not imagine supporting a coup. The numbers supporting a potential coup were highest among Republicans with 43% of them saying they could envision supporting a coup, 29% of independents followed, with Democrats trailing at 20%. Critics of the polls have suggested that the method used to conduct the survey was largely unscientific and not a reasonable representation of an accurate sampling of the general American public. Brandon discusses the new Japan security bills and return to imperialism of the Japanese state, the Syrian Crisis, Russia, China, and the potential for conflict between the world's major powers in Syria. In 1948, during the Nakba, or Palestinian Exodus, the Palestinian tragedy began in earnest. Palestinian Refugees were spread out all over the world but most were divided between Syria, Lebanon, Jordan, the West Bank and the Gaza Strip. Today there is another tragedy of displacement – Syria. Since 2011, the year of the color revolution and destabilization, engineered and designed by Israel and the West, Syrian society and the population as a whole has been torn apart. For instance, Jisr al-Shoghour, a town located in Idlib province and about twelve miles from the Turkish border, was the scene of a horrible massacre. Here, the so-called peaceful protesters attacked a Syrian military security checkpoint. Soldiers were beheaded, many of them struck on the head with an axe, their bodies so badly damaged, a DNA test was necessary to determine who they actually were. Our government organized a tour to a mass grave of Syrian soldiers who had been killed by foreign-backed “rebels,” including Uighurs, in Jisr al-Shoghour that was attended by a number of foreign diplomats. One of the attendees was former US Ambassador to Syria, Robert Ford. Another location, Ishtebraq, a rural area also located in Idlib, witnessed two massacres against its residents. The first one was in 2011. The second was in 2015. Does Russia-U.S. Tension in Syria Foreshadow Military Confrontation? More than an at any other time in the Syrian crisis, the situation on the ground presents an incredible threat to international peace and security. Indeed, the Western-backed plot to overthrow the secular government of Bashar al-Assad has now placed the world in a precarious position where two nuclear powers are acting in such close proximity to one another militarily that one trigger happy soldier could now plunge the globe into a nuclear holocaust. If the general public of Russia and the West are not aware of the dangers of further meddling in the Middle East by the United States and NATO, the state actors of the two sides are clearly aware of the potential ramifications. Of course, it cannot go without mentioning that the entire confrontation now taking place in Syria between the United States, NATO, and Russia is entirely the making of the West since it was NATO and the U.S. that created the crisis to begin with. While Lavrov did not spell out exactly what he meant by “unintended incidents,” his meaning was clear – “unintended incidents” are a direct military confrontation between the United States/NATO and Russian forces. The situation is heating up in Syria yet again. If reports coming from Almasdar News are accurate, another troop deployment will soon be about to take place – in addition to the 2,000 Russian troops who arrived earlier this week. This time, however, the troops are coming from China. On September 23, Leith Fadel of Almasdar news (the Arab Source), reported that China has now decided to commit troops and military aircraft to Syria within the next six weeks. Although the reports have not been independently confirmed, the outlet cited a senior Syrian officer in the Syrian military for the claims regarding the Chinese plans. Fadel’s information has proven accurate many times in the past. On Tuesday morning, a Chinese naval vessel reportedly traveled through Egypt’s Suez Canal to enter the Mediterranean Sea; its destination was not confirmed. However, according to a senior officer in the Syrian Arab Army (SAA) that is stationed inside the Syrian coastal city of Latakia, Chinese military personnel and aerial assets are scheduled to arrive in the coming weeks (6 weeks) to the port-city of Tartous – he could not provide anymore detail. U.S.-Backed Jihadists Falter; Liberation Imminent For Palmyra? Over the past week, things haven’t been going as well as they normally do for the Western-backed terrorists who have raped and beheaded their way across Syria for the last four years. Likewise, the Western plot to overthrow Assad and replace him with chaos and a weak jihadist/impotent government over four years ago has gone from a quagmire to the beginnings of a reversal. One such example of how the resistance of the Syrian people and the Assad government, the assistance of the Iranians and Hezbollah, and, of course, the new Russian involvement is already beginning to produce results is the report that the Syrian Arab Army’s 67th Brigade of the 18th Tank Division has captured the Palmyra-Teefor Airbase Road. The SAA victory came with close coordination between Hezbollah, National Defense Forces, and Ba’ath Battalions. According to Leith Fadel of Syrian Perspective and Almasdar news, sources have reported that the SAA now controls the entirety of the road from the outskirts of Palmyra all the way to the Teefor (t-4) Airbase. Teefor had been under attack from jihadists for over two months but such attacks were successfully repelled by the SAA forces stationed at the base. The SAA and Lebanese Resistance forces are now positioned just on the outskirts of Palmyra after having been successful at seizing the hilltop at Tal Syria Tel, west of Palmyra and also at the Western outskirts of the Qassioun Mountains. Among the numerous political candidates who have thrown their hat in the ring for the position of figurehead and front man for the US oligarchy, few can actually be distinguished from one another on even the smallest issues. Once again, Americans are reminded that the process of American elections is nothing but a theatre – a bread and circus for those with an intellectual tinge. Indeed, not a single candidate in the race is truly discernible from any other and, like past presidential races, it is clear that Americans are being given the chance only to choose the brand and presentation of oligarchical rule and not the chance to remove themselves from the oligarchical yoke. There is, however, one candidate that is doing her best to rise above them all – Hillary Clinton. This book began as merely part of a project that was never fully realized – a comprehensive series of articles written about each presidential candidate from both major parties detailing why voters should refuse to back these candidates with their vote. It was an attempt to help tear away the veil of political smokescreen that so many Americans fall into every four years. But, when I first conceived of an article listing reasons why any sane voter should stay far away from Hillary Clinton, the task was quickly dispelled from the possibility of being a comprehensive work due to the fact that the crimes of Hillary Clinton are far too numerous to mention, even in an article of unwieldy length. It was revealed on September 22 that Barack Obama’s hand-picked ISIS Czar, disgraced Gen. John Allen, will be leaving his post in the coming weeks. The information was transmitted to the Bloomberg View from four separate administration officials who said that the White House was not ready to announce Allen’s resignation officially but that the twice disgraced General would be stepping down in early November. Karin Von Hippel, Allen’s Chief Of Staff, will also be resigning according to reports. ISIS Czar Allen’s reputation has been marred by controversy and scandal as well as an attempt to push the United States into further direct military involvement in Syria, particularly against the one fighting force that actually opposed ISIS – i.e. the Syrian government. After assuming command of the International Security Assistance Force in Afghanistan, Allen was swept up in the David Petreaus/Paul Broadwell scandal where his own communications with Jill Kelley, a Lebanese-American socialite who possibly had connections to rival factions of the intelligence community networks. Allen “resigned” from his command and retired from the military after the scandal but he was brought back by Obama not even a year later when he was named as the Special Presidential Envoy for the Global Coalition Against ISIL, also known as Obama’s ISIS Czar. 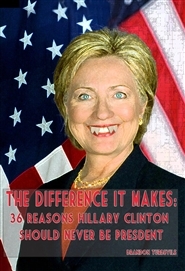 Brandon announces his new book The Difference It Makes: 36 Reasons Hillary Clinton Should Never Be President. He also discusses the European immigration crisis (who is behind it and why), the solutions to the crisis, the potential for WW3 in Syria, and the recent Japanese decision to return to the use of its military for imperialist purposes. As the conflict in Syria continues to escalate, it has been reported by Russian media that Russian Marines stationed at an airbase in Latakia have now engaged ISIS fighters in direct combat. According to Russian news website, Segodnia, ISIS militants attempted to ambush the Russian soldiers stationed at the base but were fought off by the Russian marines, with a number of ISIS fighters being killed and some captured. Russian military activity has been increasing at the airbase near Latakia over recent days with the arrival of new and advanced Russian fighter jets, according to reports. Combat between Russian forces and ISIS militants mark a drastic increase in the level of conflict in Syria, adding an even greater international aspect to it as well. With Russia now openly providing the Assad government with missiles, missile defense systems, advisers, helicopters, satellite imagery, and fighter jets (particularly those being flown by Russian pilots), the Russians now stand directly in opposition to the United States pilots, jet fighters, and special forces operatives on the ground in Syria supporting the death squads (even if the official U.S. line is publicly opposed to ISIS and supportive of “moderate” cannibals). Thus, we now have the growing potential for direct military confrontation between the two major world powers, both of them armed with nuclear weapons. Activist Post writer, Brandon Turbeville, has just released his seventh book: The Difference It Makes: 36 Reasons Hillary Clinton Should Never Be President. Brandon is known for his detailed research, principally in the area of Geopolitics, color revolutions, the Middle East and, specifically, Syria. In his new book, however, Turbeville lists at least 36 aspects of Clinton’s career in an attempt to demonstrate why Hillary Clinton should never be considered as a serious candidate for President. Turbeville is apt to point out that the book is not entirely comprehensive, stating that it could have been twice as long since the list of Hillary Clinton’s crimes are so vast that an author would spend years compiling them all together. But the goal, Turbeville says, was to get the book out before the primaries in order to try and head off what he deems a “worst case scenario” before it had a chance to grow out of control. It is vitally important to understand that this book is by no means an endorsement of any other candidate in the political race for the Presidency. It is merely designed to inform and educate. Until Americans are truly aware of the issues they face and the legitimate solutions necessary to repair the American economy, restore living standards, return civil liberties and the like, America will be given false choices like Hillary Clinton versus the Republican nomination. A bill that has caused so much protest and demonstration all across Japan in recent weeks has now passed the Japanese Parliament. The so-called “defense and security bills” eliminate constraints placed on the use of the Japanese military imposed by the Japanese Constitution, signaling Japan’s biggest foreign policy shift since the post-war military was created. Under the Japanese Constitution, the Japanese military could only be used in cases of self-defense, hence the designation of “self- defense army.” Those restrictions have largely been removed as a result of the passage of the new bills. The bills had already passed the lower house of the Japanese Parliament and were passed by the upper house in the early hours of Saturday. Over the past few weeks, Japan has been the scene of massive protests taking place all across the country. The impetus for the protests is a new policy being promoted by the Japanese government that would effectively allow for the use of Japan’s military abroad and in the service of what many would describe as imperialist agendas. The new “security bills” being promoted by Prime Minister Shinzo Abe are at the heart of the recent protests due to the fact that many Japanese see their ultimate passage as a major step toward the return of an imperialist Japan and a country that will soon be using its military in conflicts abroad. The bills would allow for the use of the Japanese military outside of its national borders in order to “protect Japan’s national interests,” an extremely broad term that may allow for aggressive military actions and imperialism. It may very well allow the military to act as a willing participant in the imperialism of other nations as well, most notably the United States. Indeed, Americans should know well how allowing terms like “protecting national interests” can be used to justify wars of aggression, the slaughter of innocent people abroad, and the destruction of sovereign nations across the globe. Adding to the voices of numerous researchers, activists, and now world leaders who are calling out the United States for its open support of terrorists and terrorism in Syria as well as its poorly-veiled support for ISIS, Syrian President Bashar al-Assad spoke out about the US terrorist connection as well as the refugee crisis currently unfolding in Europe. In an interview with RT, Assad noted that Europe was “not dealing with the cause” of the crisis and that Syrians merely desire peace and security. "If we ask any Syrian today about what they want, the first thing they would say - 'We want security and safety for every person and every family,” he added. Assad suggested that all political forces should unite around what the Syrian people want, seeming to suggest that these forces should enter into dialogue with one another and reach mutually agreed upon solutions for moving forward. After all, if the Syrian refugees were escaping Syria because of Assad’s cruelty, why did we not witness an immigration crisis in 2008? 2009? 2010? In fact, why have we not seen such a mass exodus until now? While there has been increased pressure on dislocated Syrians as a result of an ISIS push West, it must be pointed out that a great number of the refugees streaming into Europe are not Syrian at all. It must also be pointed out that much of the emigration from Turkey seems to have taken place at the behest of Turkish intelligence and Turkish officials. In other words, it appears that Turkey may have helped engineer the buildup of thousands upon thousands of refugees within its own borders until the appropriate time where they would release and push them toward Europe. Brandon discusses new additions to the website, his new book on Hillary Clinton, the Syrian crisis, Russian involvement in Syria, Russian-Swedish relations, NATO, and the European immigration crisis. What has well-known amongst informed observers for quite some time is now becoming so obvious that it is almost impossible to hide except from the most gullible members of the general public – that fact the United States is not only not interested in fighting ISIS, but they are actively protecting and shielding it. In truth, the US relationship with ISIS goes much deeper since the US created, armed, and trained the terrorist organization from its inception for the purpose of destroying the secular government of Bashar al-Assad and providing a boogeyman for the fearful masses back home to justify a greater police state and foreign military adventurism. So far, only select members of the alternative media have successfully exposed the US role in the creation and support of ISIS. Undoubtedly, the directors and controllers of the Western mainstream press know much more than what they pretend to understand, and certainly much more than what they print. Foreign governments, silent as they may be, are also clearly aware of who created this terrorist threat and why. Now, however, some state actors are becoming bolder when it comes to calling out the nature of the Syrian crisis, aside from the Assad government who has been calling out the United States and NATO for years on the issue. Only recently, Sergei Lavrov called out the United States for not only having ulterior motives when it comes to alleged “campaign against ISIS,” but also in the protection that the U.S. has provided for ISIS fighters on the ground. In an interview with Voskresnoye Vermya (Sunday Time) on Russia’s Channel One, Lavrov stated “Analyzing the actions of coalition member states, one cannot but suspect they have ulterior motives beyond the stated goal of fighting the Islamic State. "We are always in favor of military people talking to each other in a professional way. They understand each other very well," Lavrov added. "If, as (U.S. Secretary of State) John Kerry has said many times, the United States wants those channels frozen, then be our guest." The Western mainstream press has, of course, pounced upon the statement as if it were a veiled threat to the United States. Lavrov, however, made his statement in the course of explaining the importance of military-to-military communication so as to avoid such incidents in the course of simultaneous operations on the same field. In other words, it was not a threat but it was a cautionary warning. Still, Lavrov’s words address a very real possibility of direct military confrontation between Russian and American forces in the skies or on the ground in Syria. As I mentioned in my article, “Are Russians Sending Military Support To Syria? Potential Conflict With NATO?,” while a Russian military presence in the Syrian capital will undoubtedly provide an important boost to the Syrian military’s battle against ISIS and other Western-backed terrorists, it will also provide the world with the potential for direct military confrontation between the two major world powers, both of them armed with nuclear weapons. 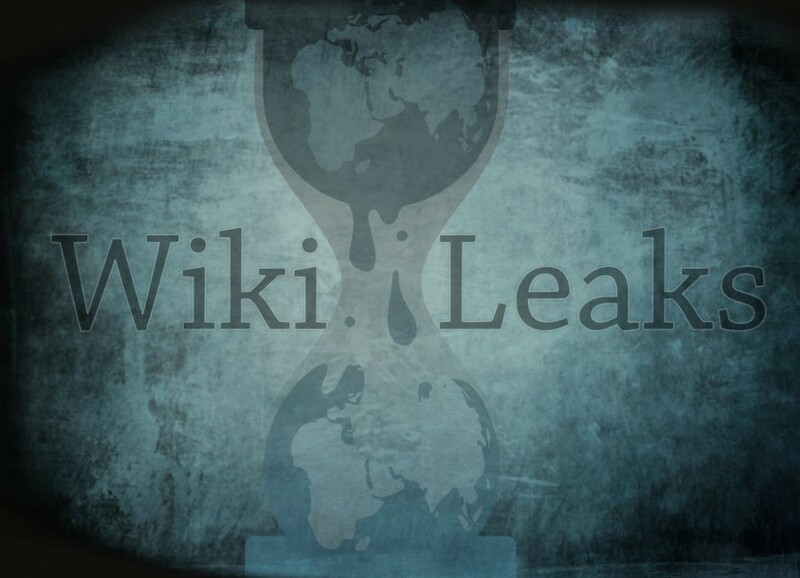 In his new book, The Wikileak Files, Julian Assange confirms what myself and others such as Webster Tarpley, Ziad Fadel, Tony Cartalucci, Mimi al-Laham, and Eric Draitser, have been stating for some time – that not only was there a coordinated Western attempt to destabilize and ultimately destroy Syria and the secular government of Bashar al-Assad, but that such an attempt was devised much earlier than 2011, when the “Arab Spring” color revolution protests began in earnest. The immigration crisis has not formed organically nor has it formed in a vacuum. The people attempting to enter Europe over the last few weeks are a diverse lot, but the overwhelming majority of them are fleeing countries where the West, the United States, and NATO have brought “peace” and “democracy” in the last few years via bombs, troops, or proxy terrorists. In other words, the migrant crisis was created entirely by the West. But, while the West has been so absolutely uncaring regarding the people whose lives they destroy with their “exceptional” militaries, photos of a dead Syrian boy have been paraded across Western media outlets to pull on the heartstrings of a public who, when it comes to most Syrians, generally has no heart at all. The little boy who drowned in his family’s attempt to escape the “democracy” of beheadings, rapes, and chants of “Allahu Akbar” funded by NATO is a tragedy. This cannot be argued otherwise. Brandon discusses the color revolution taking place in Lebanon, the Syrian crisis, the Russian military participation in Syria, potential for WW3, and economic collapse. Brandon also announces his forthcoming book about Hillary Clinton. Labels: 9/11, Brandon Turbeville, Geopolitics, Hillary Clinton, Lebanon, Russia, Syria, Truth on the Tracks, War, WW3, You Stink! Over the past few weeks, Lebanon has found itself embroiled in protests and social unrest the likes of which it has not experienced since 2005. The original issue, legitimate as it may be, surrounded the issue of lack of garbage disposal, yet the protests were soon infiltrated and morphed into an exercise of public rage over shadowy issues like “government corruption.” These protests have gone from peaceful demonstrations to violent clashes between demonstrators and police, with “infiltrators” largely responsible for provocative behavior. Sectarian tensions are now beginning to surface, a very real fear and dangerous proposition in Lebanon, with members of the “movement” typically resorting to association with tribal identity groups (Christians with Christians, Sunni Muslims with Sunni Muslims, etc.) even during the protests. As I mentioned in my article, “Color Revolution In Lebanon Designed To Weaken Hezbollah, Syria, Iran,” all of these aspects – shadowy reasons like “government corruption” for protesting, lack of demands, violence, and infiltrators - are hallmarks of a color revolution. So are the clever marketing strategies of “Branding” that see a protest movement, allegedly organic and spread across so many differing and various sectarian groups, develop a mutually agreed upon name for itself so early on. The most telling aspect of whether or not a movement is actually a color revolution, however, is the “leadership” of that movement and the connections that leadership may have to the color revolution apparatus. In the case of the You Stink! Movement, those connections are becoming increasingly visible. Labels: Assaad Thebian, Brandon Turbeville, Color Revolution, Lebanon, Lucien Bourjeily, MEPI, Michel Elefteriades, NED, USAID, Walid Jumblatt, You Stink! Brandon discusses the ongoing color revolution in Lebanon and the Saudi/UAE invasion of Yemen.